UM senior Sam Peurifoy talks to elementary school children about solar power and alternative energy. When he moved from Missouri to Miami four years ago, Sam Peurifoy expected to see solar panels everywhere. Florida is, after all, the Sunshine State. Now a senior chemistry and mathematics major in the University of Miami's College of Arts and Sciences, Peurifoy has spent the past year generating interest among South Florida's youngest citizens about the sun's untapped potential as a clean energy source. "First we talk about solar power and alternative energy—and how, when they get older, they can use their vote to support these forms of energy," Peurifoy says of the fifth- and sixth-grade classes he guest teaches through the USolar project he founded. "Then we take them outside and help them build the devices." The devices he's talking about include a solar panel, motor, and fan. When the kids point the solar panel at the sun, the fan moves. Peurifoy has 80 devices, all funded by the Resolution Project Social Venture Challenge, which discovered USolar at the Clinton Global Initiative University, held at the University of Miami in 2015. Peurifoy, a Foote Fellow, came up with the idea for USolar after witnessing a dearth in scientific knowledge among the children he met as a member of the University's Kids and Culture mentoring and tutoring program. "Some of the students ask really impressive questions, like ‘If we point the panel more directly at the sun, can we make the fan go faster?' " Peurifoy says. "One asked, ‘Can I put a bunch of these panels together and power my laptop?' 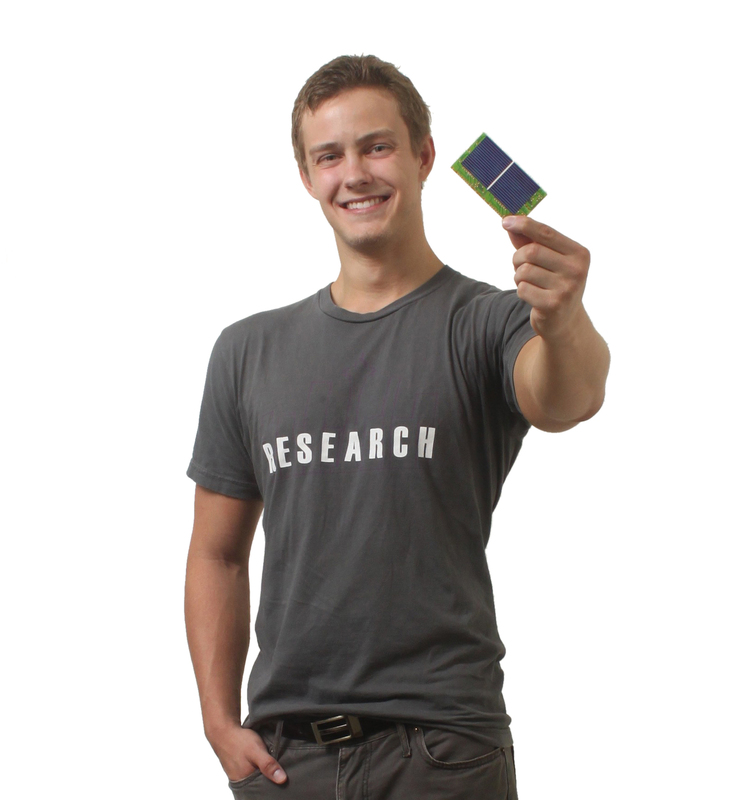 "
UM senior in chemistry and mathematics, Sam Peurifoy stands proudly with one of his solar panels, part of the devices he uses to advocate for and teach children about solar energy. One of the 80 devices UM senior Sam Peurifoy has built to teach children about solar power. 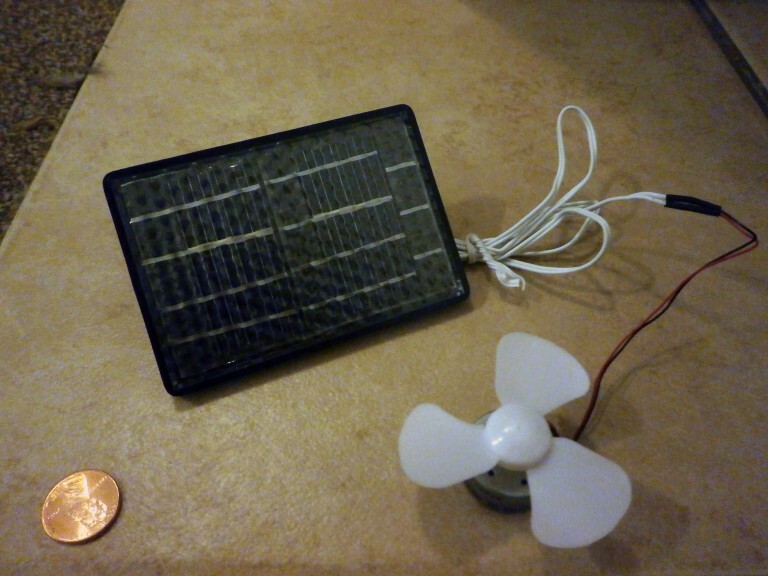 Each device is comprised of a solar panel, a motor and a small fan. Peurifoy's advocacy of solar power in South Florida's public schools is an extension of his academic focus on organic photovoltaics, which involves producing solar electricity through carbon-based materials instead of inorganic materials like silicon. Peurifoy came to the University of Miami to work in the chemistry lab of Assistant Professor Adam Braunschweig, who is developing an organic molecule that has shown great potential for efficient, lightweight, affordable conversion of sunlight into energy. Peurifoy and fellow USolar volunteers have taught about a half dozen classes this year, and he is hoping to expand the project beyond South Florida. He emphasizes the value of interactive demonstrations over textbook learning, especially on topics as urgent as the environment. "When you ask the students what a greenhouse gas is, most of them say carbon dioxide," Peurifoy says. "But there's a difference between really understanding it and just reporting what someone else told them. With these devices, seeing is believing."